Who loves Saturday mornings? Uh, ME. That's the one day of the week that our family can sleep in and take things a little slower. 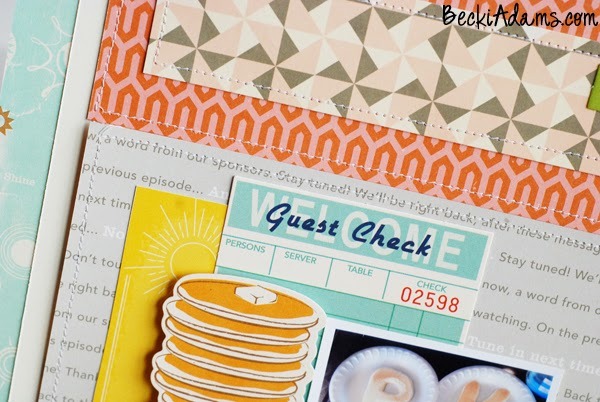 Have you seen October Afternoon's Saturday Morning collection? It's centered around the laziness of Saturday Mornings and has so many fun elements. 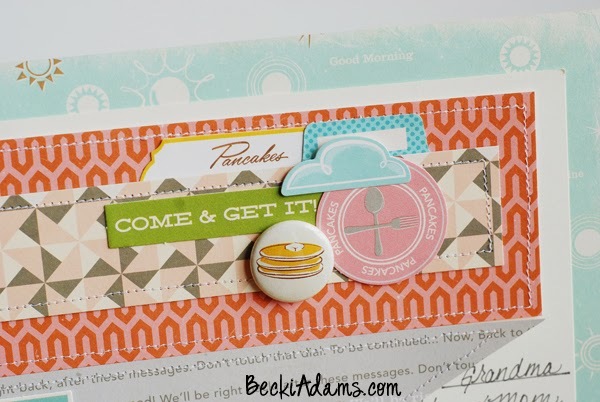 A lot of elements in this collection have images and phrases about pancakes. I created this layout and a process video to go with it. 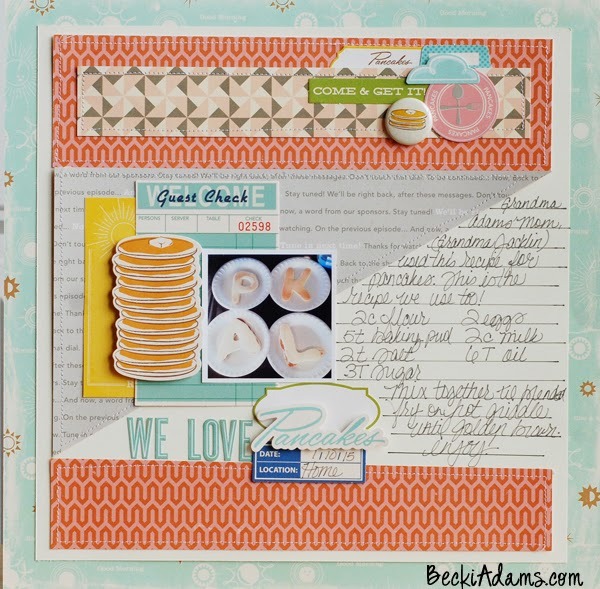 I added a recipe for pancakes that came from my husband's family to the layout and where we got the recipe. Mix together until blended and fry on a hot griddle until golden brown on each side. Could you do me a favor? If you could subscribe to my YouTube channel, I would really appreciate it. 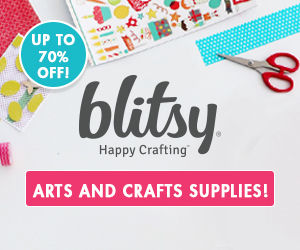 (Just click on THIS link and click the red "subscribe" button). Also, could you please subscribe here. I have some fun things coming up and I don't think you'll want to miss anything. What are your favorite Saturday morning traditions? Have you documented those traditions? I am sorry for the lack of my commenting lately - I have been struggling and doing some soul searching so I have not been on the computer much!! I have looked through your awesome posts with all your amazing creations and rather than go backwards and comment on all of them I am going to start fresh!! 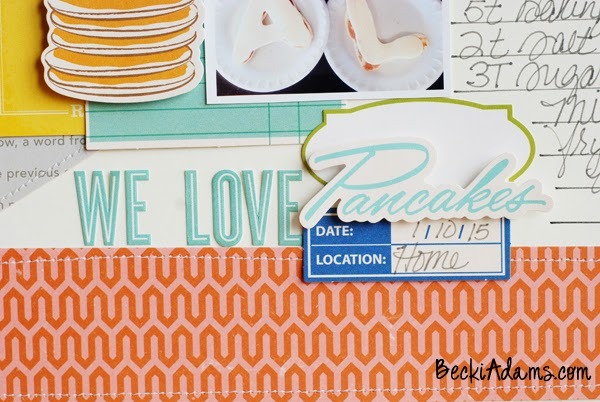 This layout is fun and love anytime you share your process with us!! Awesome and I am looking forward to more from you! !